Called “revolutionary to the additive industry” by industry experts, the Rev-X line of products is the result of hard work and dedication to excellence. Developed after four years of testing with hundreds of formulations, Rev-X was able to come up with a solution for an oil additive that not only reduces heat and friction, increases diesel efficiency and is Dyno tested, but is also proven in the real world to give your truck a competitive edge. 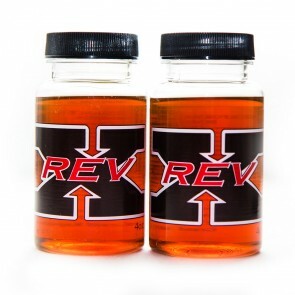 The team at Rev-X has worked hard over the years to perfect their product line, delivering the best fuel and oil additives on the market. These additives cause lubricants to be drawn to the source of friction, creating a polar attraction, while at the same time not changing viscosity of any lubricant and still working with engine oils, gear lubes and hydraulic fluids.. When you are looking for the highest quality summer and winter fuel additive for today’s ultra-low sulfur diesel fuel, DISTANCE+ and Distance+ Winter Diesel Fuel Additives are simply the most cost effective, complete, and high performance fuel additive available for running any diesel-powered equipment in both summer and winter conditions. 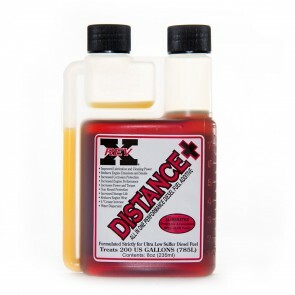 DISTANCE+ Diesel Fuel Additive is the most complete, highest performing fuel additive available for running any diesel-powered equipment in summer conditions. With today’s ultra-low sulfur diesel fuel, you need a quality additive, and the DISTANCE+ Fuel Additive was formulated to be a true all-in-one ULSD fuel additive, requiring nothing else to be added. It boosts ULSD fuel performance to a level that diesel owners have previously not had the opportunity to purchase.. Whether you need the year-round protection for warm weather areas, the fuel mileage gains, increased water dispersion, or increased engine performance, Distance+ is the additive for you. If you are looking for a winter diesel fuel additive for your diesel truck, there is only one product that can deliver the best protection for extreme cold weather operation: the DISTANCE+ WINTER Fuel Additive. 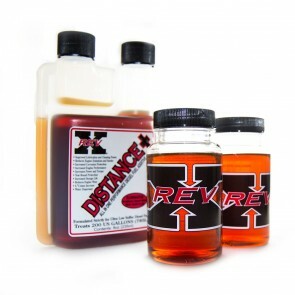 Using real world data from formulations out of some of the coldest regions in the United States, Rev-X’s Distance+ Winter Fuel Additive was designed to give you what a truly great winter-based fuel additive should. Rev-X has been able to formulate the highest performing winter fuel additive package that boosts all aspects of today's ULSD fuel, all within one easy-to-use product. 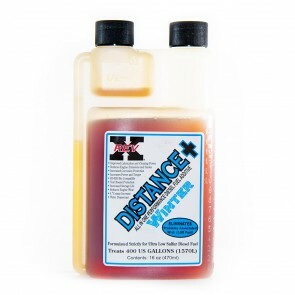 So, whether you are having cold start issues, fuel gelling problems, poor engine performance, or fuel storage issues, Distance+ Winter Fuel Additive is your cold climate fuel solution.